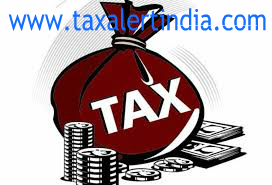 CBDT issued circular no. 13/2017 dated 11 April 2017 regarding clarification on liability to income-tax in India for a non-resident seafarer receiving remuneration in HRE (Non Resident External) account maintained with an Indian Bank. 2. The matter has been examined in the Board. Section 5(2)(a) of the Income-tax Act provides that only such income of a non-resident shall be subjected to tax In India that is either received or Is deemed to be received in India. It is hereby clarified that salary accrued to a non-resident seafarer for services rendered outside India on a foreign ship shall not be included in the total income merely because the said salary has been credited in the NRE account maintained with an Indian bank bank by the seafarer.